After spending many hours analyzing dozens of SERPs and comparing before-and-after screenshots, here are the top observations I have for what changed. 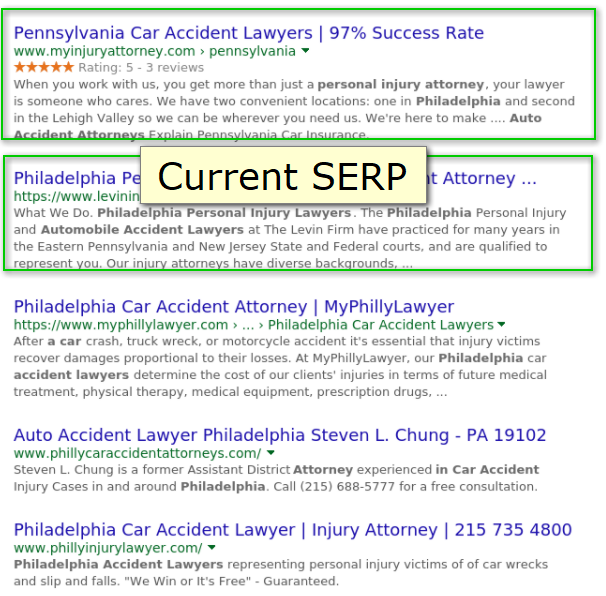 In many cases, Google changed the description they are showing in the search results and are pulling from the text on the page instead of using the description tag. 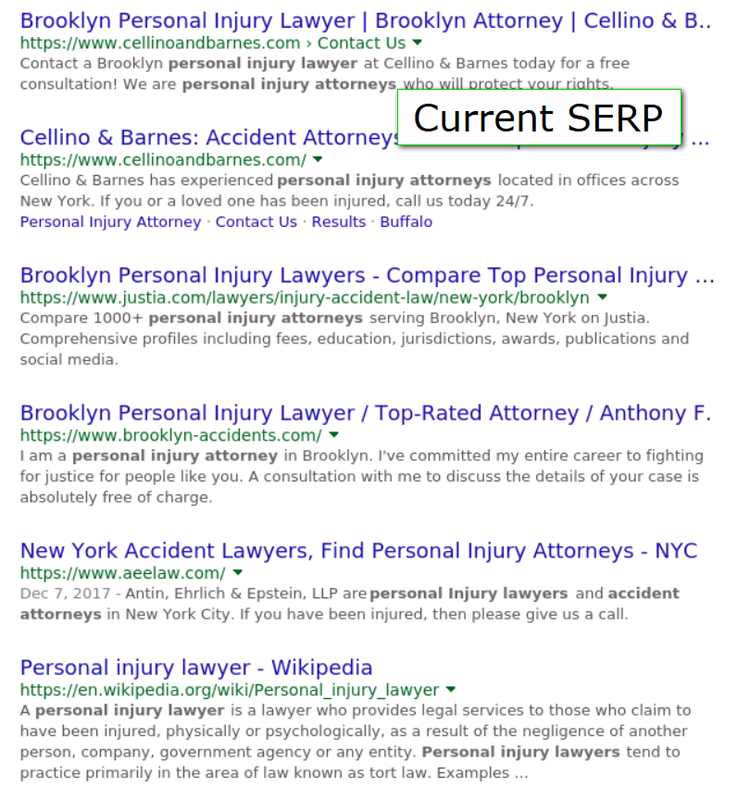 This is something Google has been doing a lot in the last couple years but it appears they are doing it even more now based on almost every SERP I looked at. 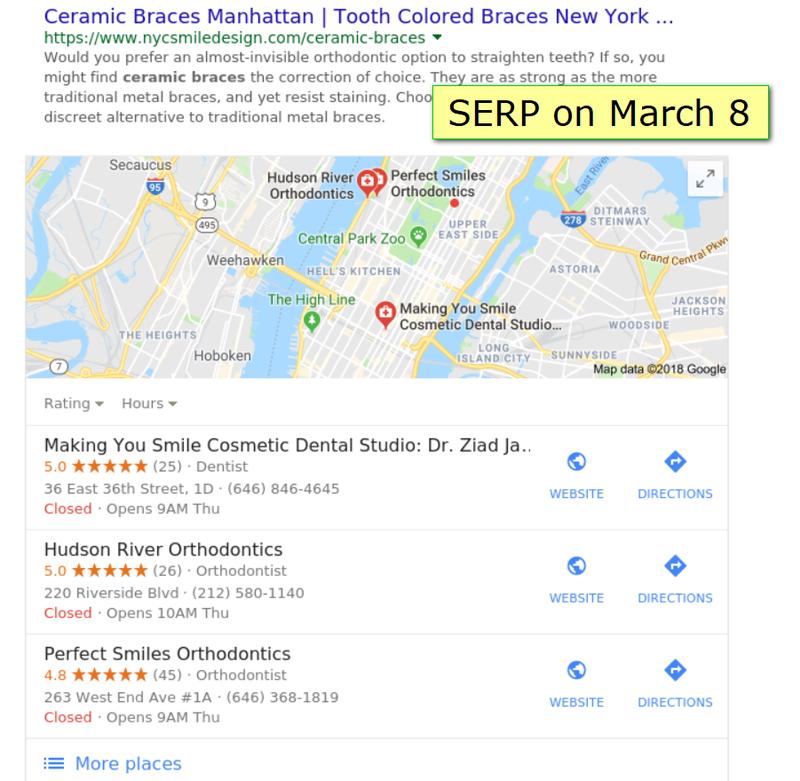 Implicit searches (local queries that don’t contain the name of the location) appeared to have a more drastic change and, in most cases, became more localized. 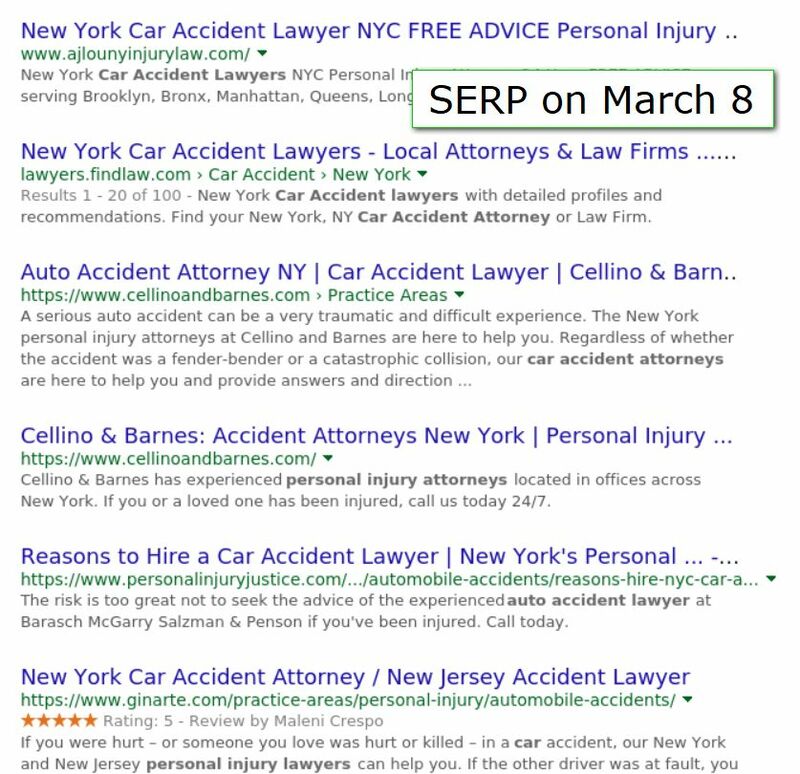 In this example, “car accident lawyer” is being searched from a zip code in Brooklyn. Previously, the results showed a variety of law firms in NYC but now they focus more on ones that are in Brooklyn specifically. The criteria for the organic filter changed. 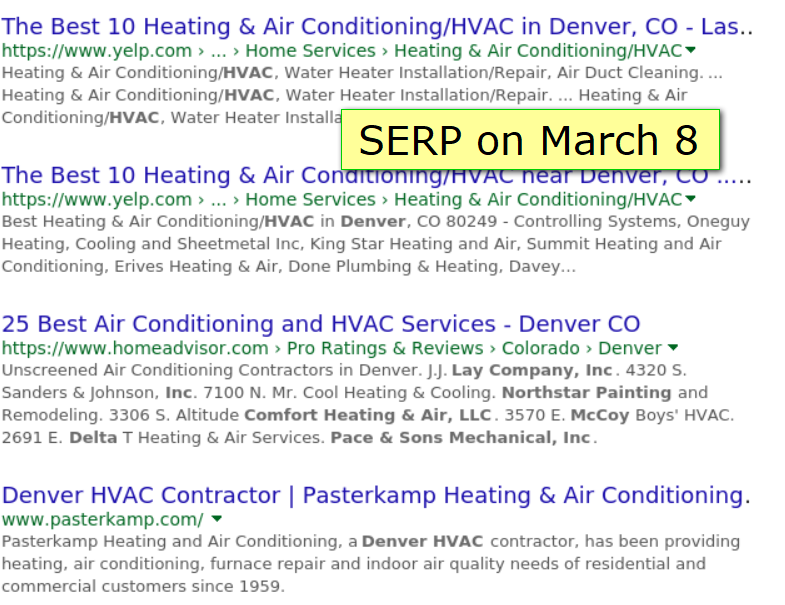 Google’s organic filter makes it so that one website doesn’t dominate the search results. 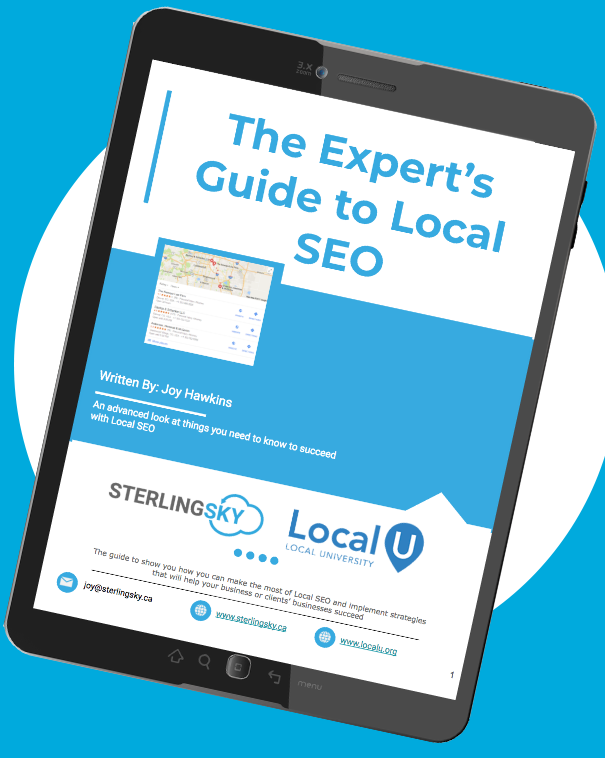 It actively filters out pages belonging to the same domain (or affiliated sites) and often makes it so that a site is only listed once or twice in the search results. With this update, I saw tons of changes to what pages were filtered. 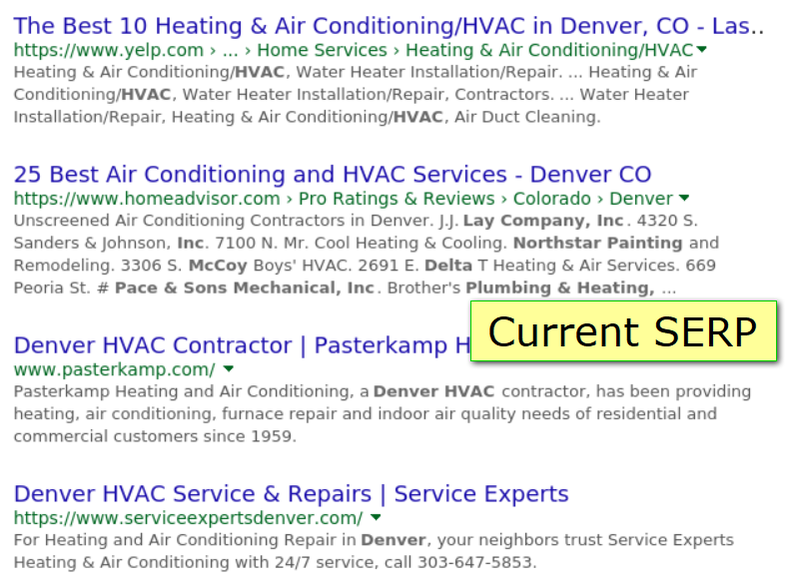 In this example, this site only appeared once in the search results because the other page was filtered. After this update, the 2nd page became unfiltered. In another example, Yelp had the top 2 organic results before the update but now they only have one (the other got filtered). 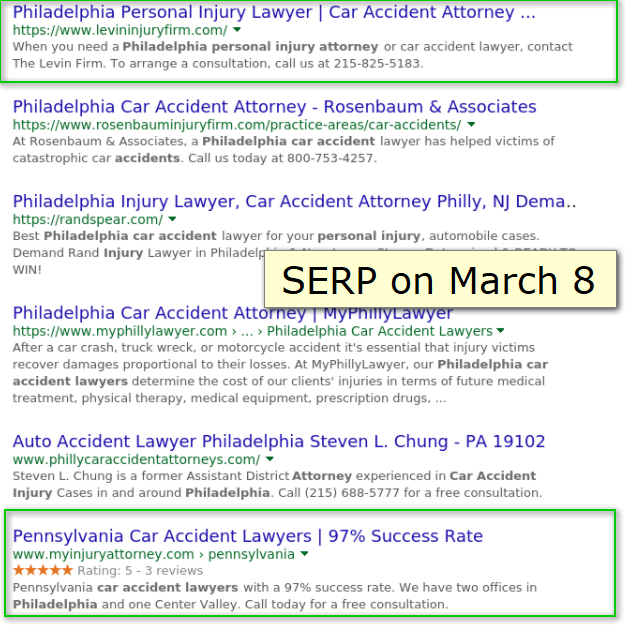 I have a client who only appeared once before and now shows up three times in the SERP for one of their main keywords. 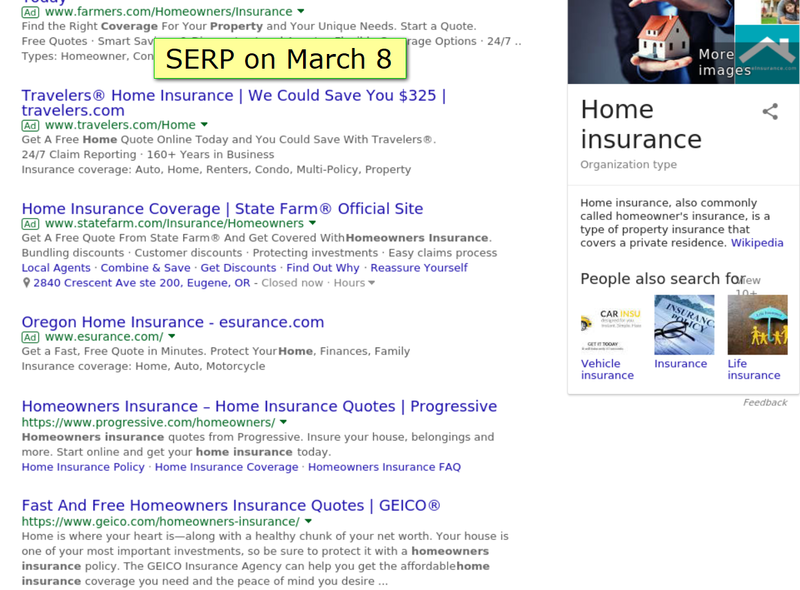 The SERP features changed for tons of queries. 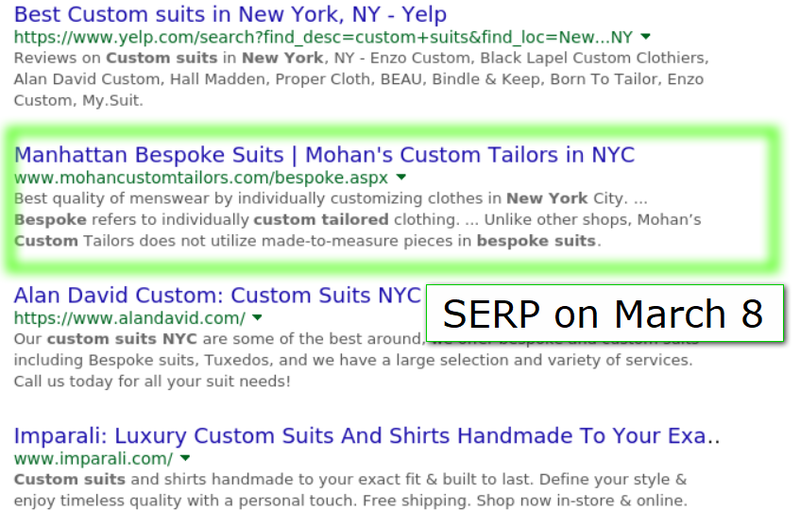 There are tons of different search features: Answer boxes, local packs, top stories etc. I noticed on tons of queries, the type of search features being displayed changed quite a bit. 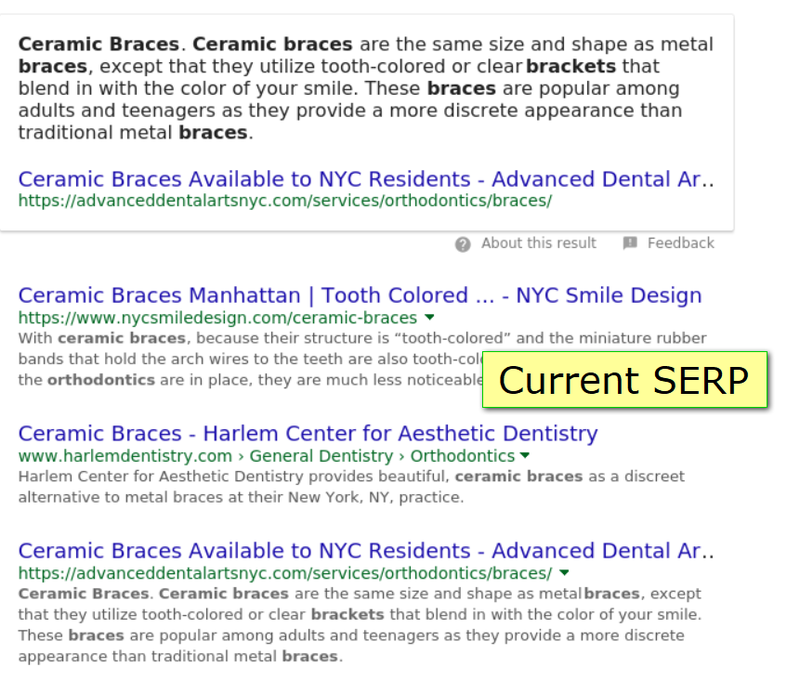 In this example for “ceramic braces nyc”, the results used to show a 3-pack but are now showing an answer-box. 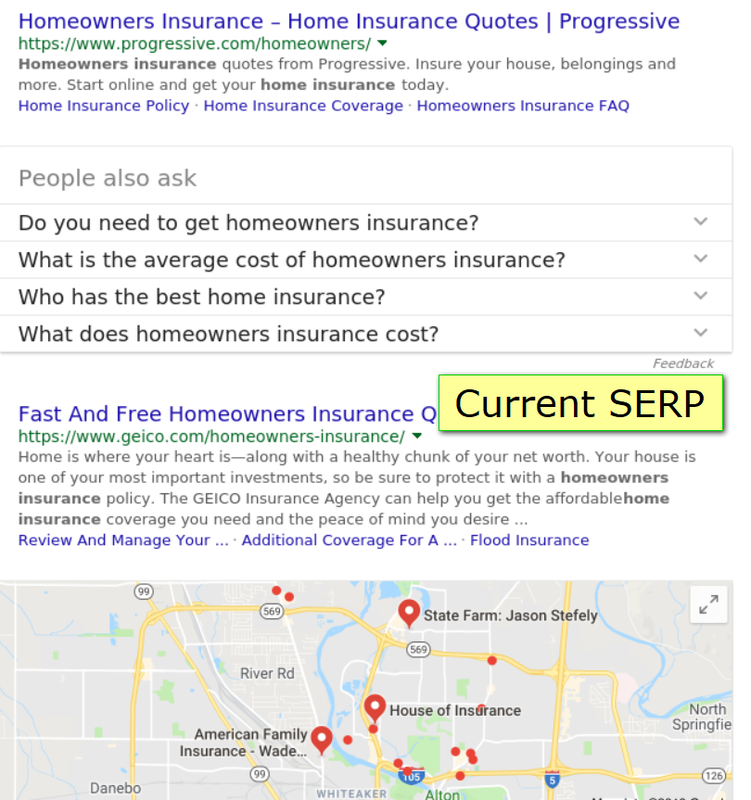 In this example, a search for “home insurance” used to trigger a knowledge panel and then a local pack way lower on the page. After the update, the local pack moved to the top and Google added a “people also ask” box. There were tons of other observations I made when analyzing dozens of search results but these were the top patterns I observed. I’ll be doing a bunch of testing on instances where I saw drops due to the algorithm update and publishing any successful tactics I discover in my Local SEO training. Did you notice anything interesting after this algorithm update? If so, let me know about it in the comments. Thank you very much for this concise summary, Joy! I always learn so much when I read your posts! You’re welcome 🙂 Glad you learned something! Awesome take Joy. 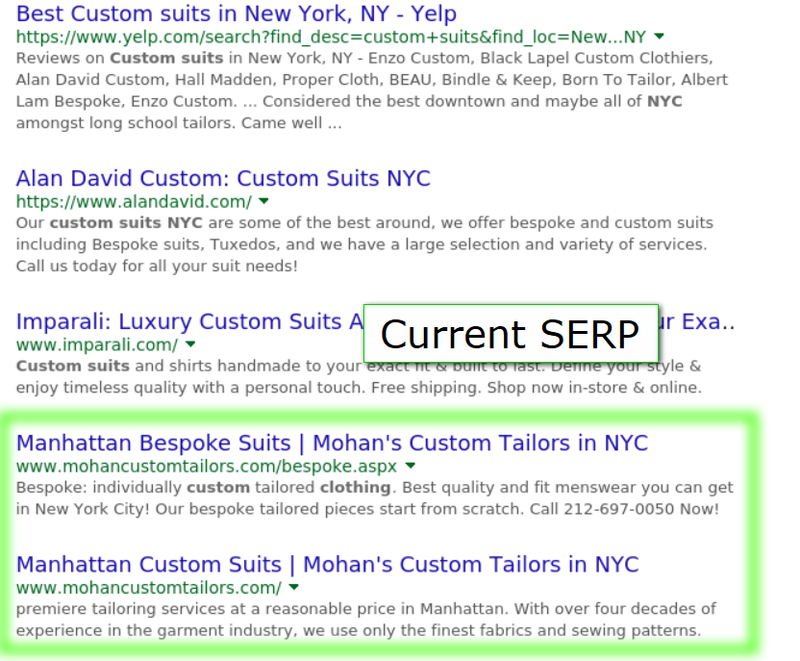 I noticed several more SERP features are appearing for localized queries as well. Joy, I noticed generally fewer listings in the Reviews from the web sections of the LKPs and I don’t see the business’s own website appearing in Reviews from the web in places where they used to. Interesting. I just checked a few that are using Get Five Stars and the reviews are still in the KP. Are your examples using a service? Interesting + scary info for a client of ours…. fortunately, I haven’t seen any impact yet, using the same date comparison as at the top of the article. Is there a chance that this March 9 update hasn’t rolled out fully? It should be rolled out everywhere now. There was an update on the 14th and on the 23rd as well that were likely related. We manage a client’s account with more than 20 locations and since January we have noticed a significant reduction in the views of our posts, now in March we achieve 10% of what was received in December and previous months, my client is very scared and me more!!!!!! Are you referring to blog posts or Google Posts? Thank you Joy for your work and this article. It was interesting and helpful for a couple of my clients. I’ve also noticed the algo filter being kind of weird lately so I will keep my eye on some of the other items you mentioned as well. After 3+ years of being #2 or #3 in the map pack for “web design Virginia Beach” I fell to about #5. Companies with far less reviews are now ahead of me. What’s worse is that now an “answer” shows up from Upcity.com which shows up first listing the top web design companies in my area and you have to pay $100 a month to be at the top of that list. So frustrating. It’s cost me a ton of business in the past couple months.